A new Motley Crue live DVD is on the way. 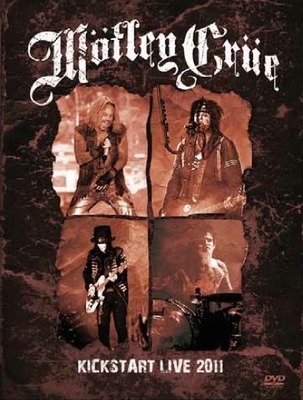 “Motley Crue – Kickstart Live 2011” was recorded at various venues across North America last year. The DVD will be released by Showlight/IDS/Fontana North on June 5; the same day, the Crue launch their 2012 series of dates with a show in Moscow. After 6 weeks in Europe, the Crue team up with KISS for a North American summer tour that starts July 20 in Bristow, VA.